I've had the honour and privilege to provide my No BS mentoring to more than 1000 business leaders in over 40 countries. Always the journey begins with people doing what they know they should yet are not. Profound change occurs. Not least of which is this discovery. 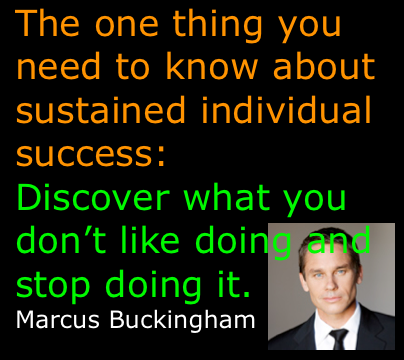 The above and other crucial discoveries lay the foundation for the rest of the personal change journey. 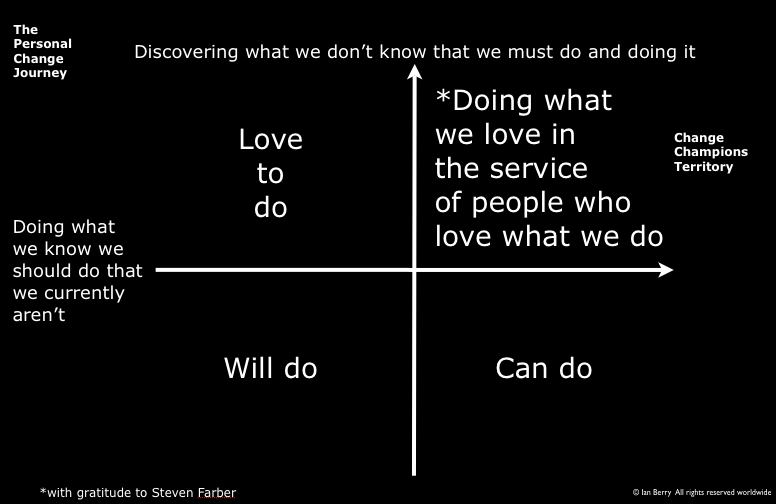 Often my clients use this diagnostic tool to begin to do only what they love doing. The above tool is one of many resources for humans inside Maverick Thinkers Studio. The key though is not mine or other people's carefully selected resources rather using them in your own way. This is where my No BS mentoring comes in. I'm conducting the next group tour to show you what's inside my studio today December 2nd at 7.30 pm Australian Eastern Daylight Saving time. I'll be conducting a further tour tomorrow December 3rd at 7.30 am Australian Eastern Daylight Savings Time. To join either tour please email me ian@ianberry.biz stating your preferred time and I will email you the link.